Read | Buy Career, Leadership, Sales, Marketing, Personal Growth books. The 42Rules™ book series is founded on the idea that most subjects can be summarized into 42 distinct areas that capture the essence of a topic. Our non-fiction books are available in paperback and a variety of e-book formats for Kindle™, NOOK™, KOBO™ and many others . We offer a free excerpt of each book so you can "try it before you buy it". Choose a book and complete the form to get your free excerpt. Explore our six topics topics, from personal finance to leadership and sales and marketing. 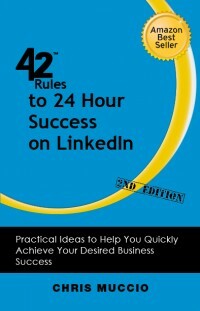 You'll find the latest in expert advice available right here at 42Rules.